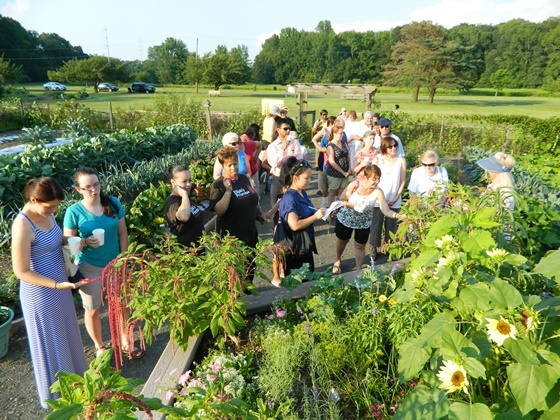 The Rutgers Cooperative Extension of Middlesex County will host its Garden Field Day/Open House from 11 a.m. to 3 p.m. on Saturday, July 22 at the EARTH Center located in Davidson’s Mill Pond Park at 42 Riva Ave. in South Brunswick. The rain date will be July 23. The day will be filled with activities for the whole family, including garden tours, presentations and showcases on gardening and landscaping, plus live music. Throughout the event, the Agriculture Office and the Rutgers Master Gardeners will offer advice on horticulture and environmental stewardship while guiding visitors through various teaching gardens and learning projects. Examples of their work include the Children’s Garden with Green Roof playhouse, an enormous vegetable display garden, a new Native Plant Garden and the popular Butterfly House. Lectures will be offered on topics such as Container Gardening and The Dandelion– Weed or Herb. From 11 a.m. to 2 p.m. kids age 14 and under can participate in the Master Gardener Scavenger Hunt, a hunt for medallions in the gardens throughout the park. There will also be a geo-caching demonstration, free giveaway paint a pot activity and a maze for the kids. Attendees are asked to bring a donation of a non-perishable food item for MCFOODS, the County’s food bank. Contributions will help restock MCFOOD’s shelves and assist in providing nutritious food to County residents in need. “Garden Field Day is a day of outdoor fun for the whole family,” said Freeholder Director Ronald G. Rios. “It’s a chance to give to a good cause, learn more about healthy eating, and learn new ways to help protect our environment. Many exhibitors who collaborate with the Rutgers Cooperative Extension of Middlesex County throughout the year will be on hand to share their programs and accomplishments. For more information, please call 732-398-5268 or e-mail david.smela@co.middlesex.nj.us. Rutgers Cooperative Extension of Middlesex County’s educational programs are offered to all without regard to race, religion, color, age, national origin, gender, sexual orientation, or disability.